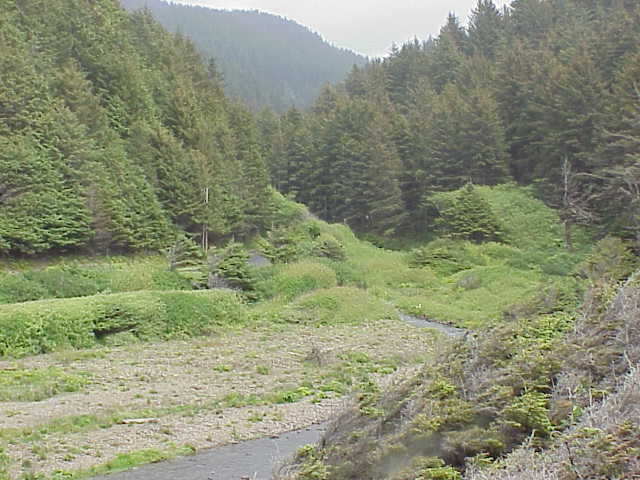 A small USFS campground is located along Rock Creek, a quarter-mile inland from the ocean. There are 16 sites for tents, trailers or RVs up to 22 feet in length, plus fire grills, picnic tables, restrooms, and potable water. Leashed pets are permitted. Open from late May to mid-September, this very scenic area fills up quickly.